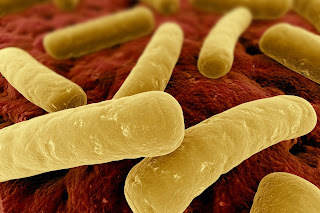 Pharmaceutical Microbiology Pharmaceutical Microbiology: Antibiotic resistance: a "ticking time bomb"
The issue of growing resistance to antibiotics is a major global problem and should be ranked alongside threat of terrorism, according to the chief medical officer for England. Antimicrobial resistance describes the ability of a microorganism to resist the action of antimicrobial drugs. This is important as it can make the treatment of infections more difficult and increase hospital costs, according to the U.K. Department of Health. Antibiotic resistance is a serious and growing concern, with more microorganisms becoming resistant (the so-called ‘superbugs’ like MRSA) and fewer effective antibiotics being available, according to the World Health Organization (WHO). As an example, the WHO indicates that 150,000 deaths a year are caused by multi-drug resistant tuberculosis. One of the main causes, the U.S. Center for Disease Control notes, has been down to overuse of antibiotics, often in cases where none were needed, leading to the adaptation of microorganisms to become resistant. She went on to make a point about the lack of new drug development on the part of pharmaceutical companies: “We haven't had a new class of antibiotics since the late 80s and there are very few antibiotics in the pipeline of the big pharmaceutical companies that develop and make drugs. Professor Davies has expanded upon these issues in her annual report to the U.K. government. A number of global bodies are attempting to work with ‘big pharma’ to develop new antibiotics, such as the Innovative Medicines Initiative (IMI) in Europe, which is a public-private initiative aiming to speed up the development of better and safer medicines for patients; as well as initiatives by the U.S. National Institutes of Health. What remains of concern is that as bacterial antibiotic resistance continues to exhaust the supply of effective antibiotics, a global public health disaster could arise within the next decade. It is therefore a serious matter for governments, the medical profession, the pharmaceutical industry and individuals. Intresting. This problem can easily be solved by natural products as plants. Medicinal plants are in their screening process. MDR strains and some superbugs as Acinetobacter baumannii are now the most worse life threatning agents. Acinetobacter resists to every and every class of antibiotics and plants should be screened out. Like wise for other antibiotics resistant bacteria.